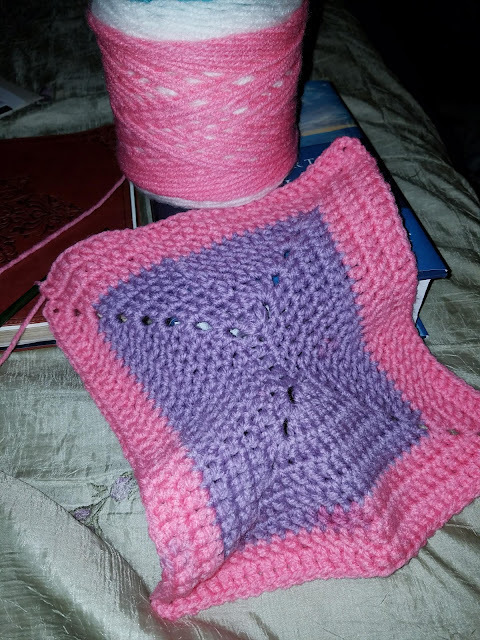 So, I am working on my Veronika (I am just over halfway done with the back section) and I am still working on the first of the crochet projects for my children. This one is still giving me issues. I like the way it starts, but the fact that it will not lay flat bothers me. I am also not happy with where the color changes are happening. So, back to the drawing board I think. I have a CAL that starts next week, and I am very excited about that. I am doing Attic24's Woodland blanket CAL, with the Cosy Stripe palette (I got that for Christmas). I have a birthday sweater yo knit, I think, if the birthday boy can tell me what he wants. If not, he may not get it for his birthday, but when it gets completed (like March). I am still working on goals/directions/resolutions for the new year. Most are in my head but not on paper yet. This week is the time for that. How is your New Year looking?